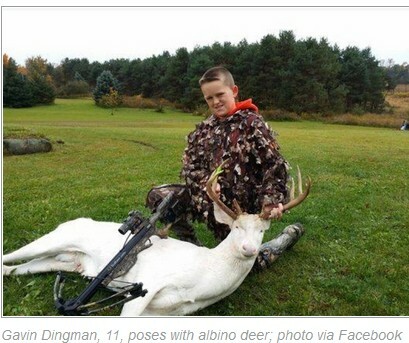 Gavin Dingman, an 11-year old from Michigan, killed an albino deer. Many people are upset about this, with some even making death threats to Gavin. It is tragic when any healthy animal is killed for “sport” or any other purpose. But those non-vegans who are critical of this ought to do some serious self-reflection. You see, there is no moral difference between what Gavin Dingman did and what any non-vegan supports and participates in. Our moral schizophrenia where animals are concerned is profound. We have seen it in the context of Michael Vick, Andre Robinson, Kisha Curtis, Mitt Romney, and others. We have seen it in the campaigns that seek to portray groups of “others” as the culprits. 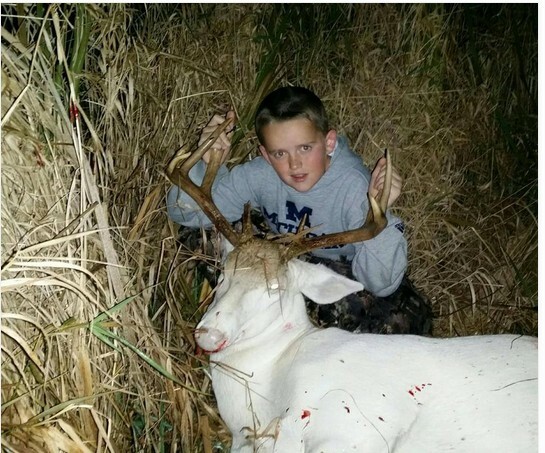 It makes no sense for “animal lovers” to complain about hunting if they are not vegans. There is no morally coherent difference between killing an animal you eat and paying someone else to kill an animal you eat. So what Gavin Dingman did was tragic. If you agree, then please stop being confused and hypocritical and go vegan. Otherwise, you’re just attacking an 11-year old kid for what you yourself support and do. And any “animal lover” who makes death threats to anyone is just using animals as an excuse to express their misanthropy. On October 4, 2014, I did a brief interview on the Michael Smerconish Show on CNN concerning the Andre Robinson case. 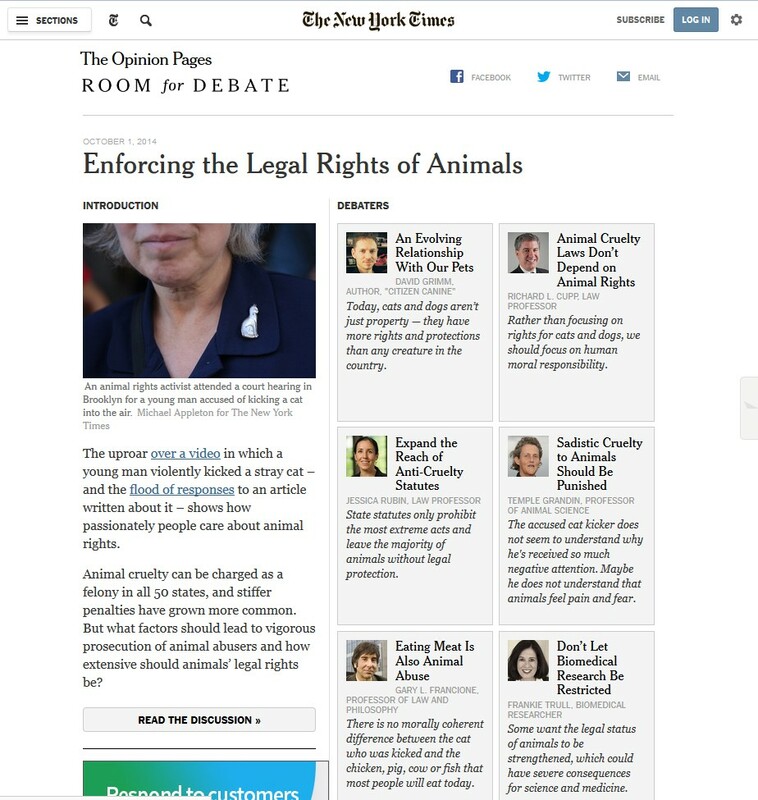 The New York Times Room for Debate examined the issue of “Enforcing the Legal Rights of Animals,” and included discussion of the Andre Robinson case. The abolitionist perspective was represented. You can read the debate in it’s entirety here. Andre Robinson kicked a stray cat, at the Brevoort Houses in Bedford-Stuyvesant, Brooklyn. Someone captured it on video. Robinson was arrested. The cat, now named King, was rescued and adopted. The Brooklyn District Attorney has announced that he plans to prosecute Robinson for animal cruelty. And now, many people are calling for his imprisonment and the online invectives being directed at Robinson are intense to say the very least. The reaction to what Robinson did is understandable and laudable. It is nothing short of terrible that anyone would harm a defenseless animal. After all, we all believe that it is morally wrong to inflict unnecessary suffering on animals. Although we may disagree about when it is necessary to impose suffering and death on animals, we all agree that whatever pleasure Robinson got from kicking the cat cannot constitute necessity. We kill and eat more than 58 billion animals a year worldwide, not counting fish. We don’t need to eat animals. No one maintains that it is necessary for optimal human health. The conservative Academy of Nutrition and Dietetics acknowledges that “appropriately planned vegetarian diets, including total vegetarian or vegan diets, are healthful, nutritionally adequate and may provide health benefits in the prevention and treatment of certain diseases.” The American Heart Association and Mayo Clinic agree. Animal agriculture is an ecological disaster. It takes many more pounds of plant protein and many times more water to produce animal foods than to produce plant foods. Animal agriculture is a major cause of global warming and is responsible for water pollution, deforestation, and soil erosion. And the animals we consume as food—including those used to make the supposedly more “humane” products sold at upscale supermarkets—are subjected to terrible suffering and horrible deaths. Indeed, the animals we use for food suffer just as much — if not more — than King, whom Robinson so callously kicked. The only justification that we have for that suffering is palate pleasure. We enjoy the taste of animal foods; we find them convenient. There is no necessity for this suffering and death. So how are we any different from Andre Robinson? There is no morally coherent difference between little cat King and the chicken or pig or cow or fish that most of us will eat today. This is all laudable but it is nonsensical. We are a society that abuses billions of animals for no good reason whatsoever. We excuse ourselves by pretending that people like Robinson are “abusers” and the rest of us are really “humane” and care about animals. We do this repeatedly. Remember football player Michael Vick? People hate him to this day for engaging in dog fighting. Vick liked to sit around the pit watching dogs fight. The rest of us like to sit around the summer barbecue pit roasting the corpses of animals who have been treated every bit as badly as Vick’s dogs. Remember Kisha Curtis, who gained international condemnation for throwing her emaciated dog, Patrick, down a trash chute in Newark, New Jersey? Patrick is still used as a symbol by those who claim that we must pursue “animal abuse” more aggressively. 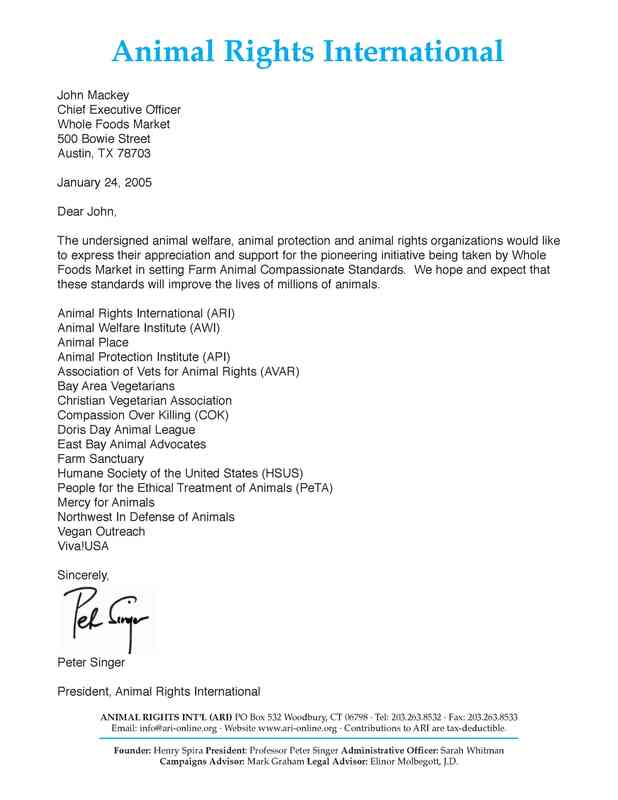 All of these cases have resulted in an overwhelming online response and a good deal of it involves the expression of overtly racist comments, just as stories about the eating of dogs and cats in China or Korea, or the killing of dolphins in Japan, result in comments that “those people” are barbaric—made by people who have no problem exploiting pigs, cows, chicken, and fish. And every day, Animal Care and Control in New York City kills healthy cats—often 30 or 40 a day. Here is the interview I did on the Michael Smerconish Show on CNN. It was aired on October 4, 2014. Here is my New York Daily News on the subject. Please do not tell me that there is not a racist overtone to the campaign against Robinson.